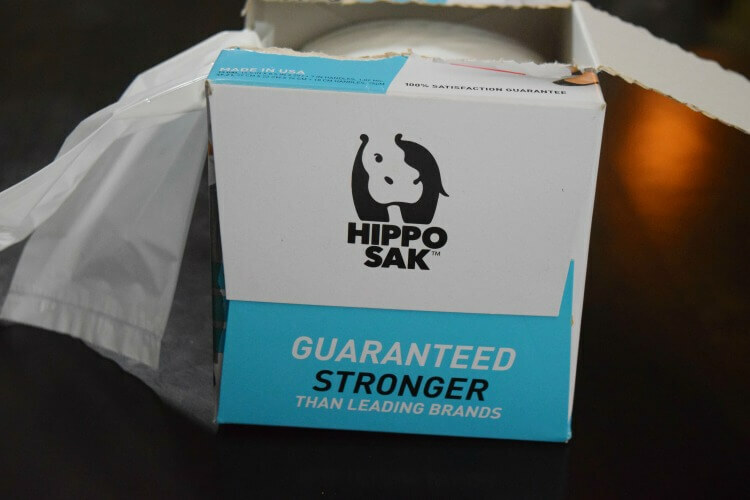 This is a sponsored post written by me on behalf of Hippo Sak®. All opinions are 100% mine. Can you fall in love with a trash bag? I think I have! We recently discovered new tall kitchen bags that make life so easy. 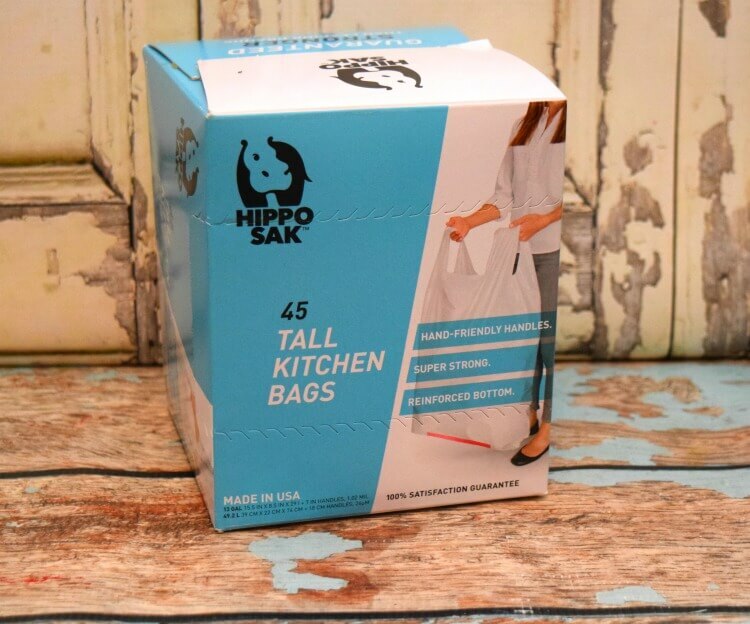 Hippo Sak® Tall Kitchen Bags are amazing! They are stronger than other bags, have a reinforced bottom to prevent leaks, holes, and tears, and they have handles! Those handles make them so easy I can even get my kids to take out the trash without much complaint. 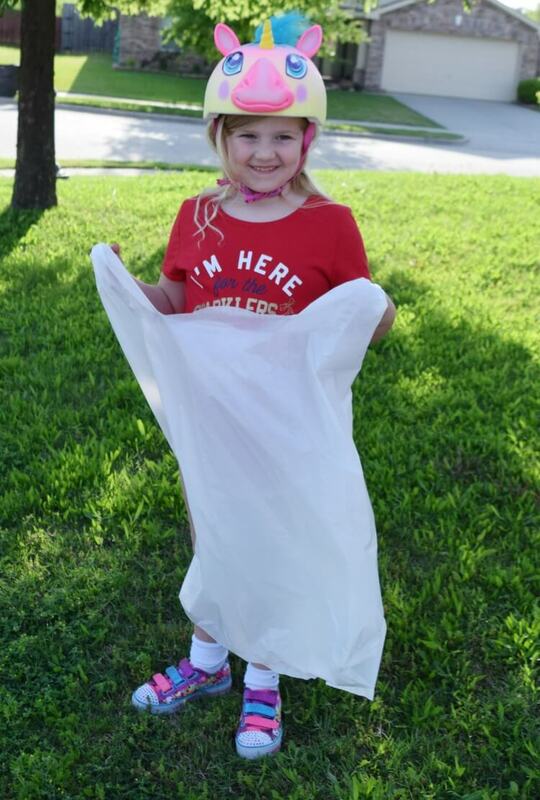 Being a big family of 6, we make a lot of trash, so we have put these trash bags to the test. These trash bags have been through the ringer. Even when I cut up a giant watermelon and tossed all the rind into a Hippo Sak, it did not bat an eye! No leaks at all! 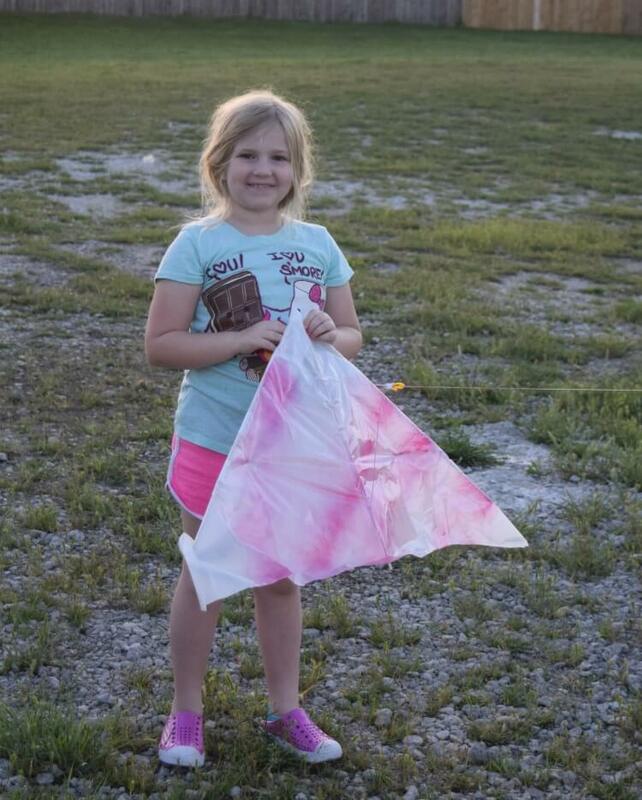 We decided to put a Hippo Sak to the ultimate test with it’s super strength and make a DIY Trash Bag Kite with our 8 yr old. My husband is the super duper kite expert. He decided the best shape to fly was a Delta Kite, which is basically a wide triangle. It’s very easy to make. 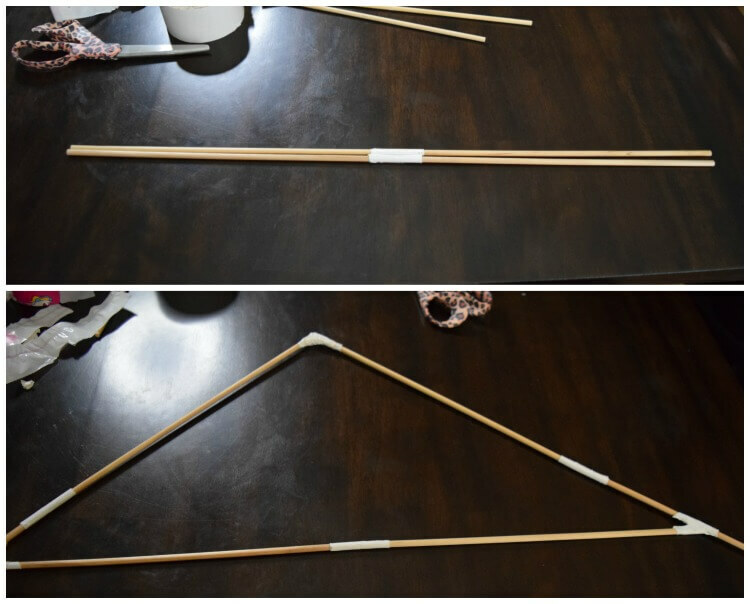 First, we duct-taped two 12 inch x 1/4 inch dowel rods together to make 2-ft long rods. We created 3 of these. Then, we formed them together to make a wide triangle with the sides stretching further down than the bottom side of the triangle. Next, we added a center 12 inch x 1/4 inch dowel rod that was duct-taped only to the very top point of the triangle as seen in the photo below. Next, we duct-taped an additional 12 inch x 1/4 inch dowel rods to each side for sturdiness. Then, we cut down one side of a Hippo Sak to form a sheet and then laid the triangle on top and cut the sheet down to 2 inches around the edge of the entire triangle. Next, we used invisible tape and folded over each edge around the dowel rods. 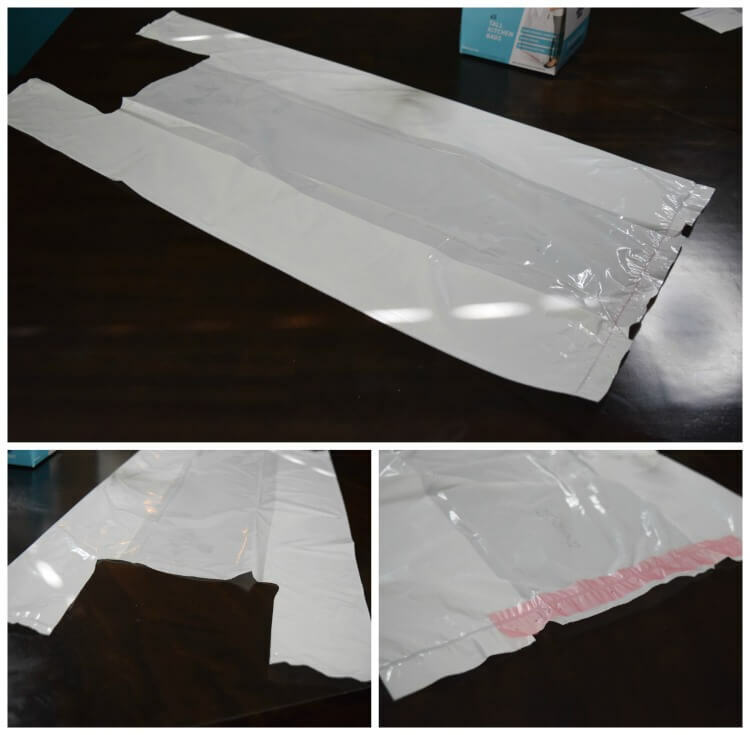 We also added small pieces of invisible tape down the middle dowel rod to attach it to the trash bag. 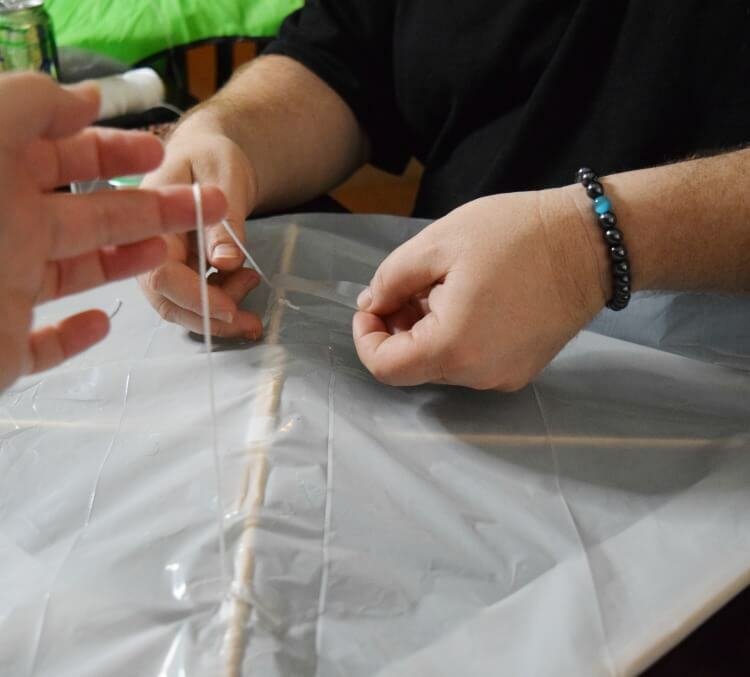 Next, we flipped over the kite to the trash bag side, and measured about 5 inches above and below where the dowel rods crossed in the very middle and poked small holes to insert a piece of kite string about 18 inches long and tie it off at each holes. Next, we added invisible tape over each of the holes to prevent tearing. Then, we attached to the kite string to this small string and went to get ready! 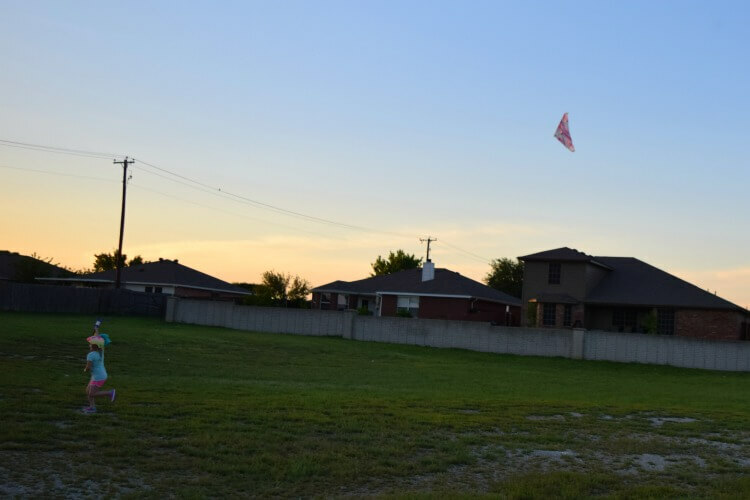 My 8 yr old wanted to add a little color, so we added some pink spray paint to the front of the kite before heading out to test its flight. Next time we plan to do some fun designs all over the Hippo Sak with permanent markers before making the kite. There was literally no wind as it had been storming for several days before hand. But, this kite was amazing! We have the trash bags but would have to get the string and sticks to finish making the kite. Flying kites takes me back to some fun park days and watching and flying all the different kites. 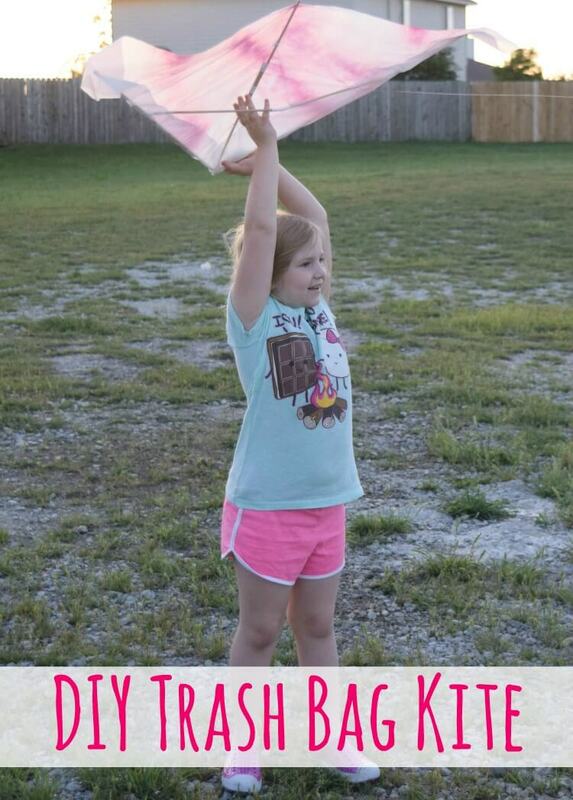 Kites are a lot of fun and this project looks like a winner. Those bags look great and we can always use a sturdy bag in the kitchen. super cute idea! Love anything that gets kids to be creative and outside! Ok so Kite Flying is just about the best thing in the world. I love flying kites. They make me feel like a kid again…but to fly a kite you hand made! Well that’s just 10x better! It’s a beautiful kite! So clever. I love when everyday items can be used for other purposes. Especially fun ones like this! It’s so fun to create an innovative toy for kids that won’t require us to splurge. 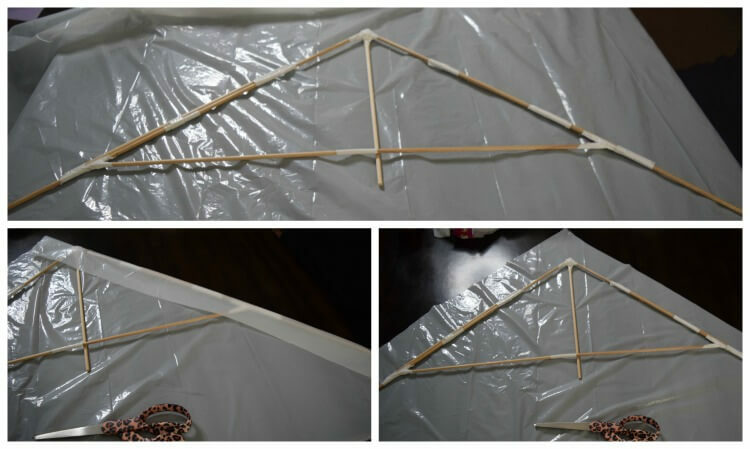 This is a simple DIY kite that can be made by any home! 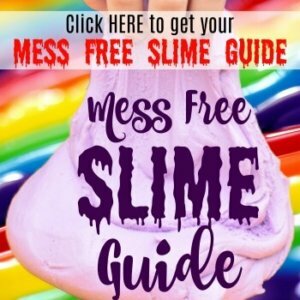 What a great DIY for kids! It looks super easy for her to get involved AND get to reap the benefits of getting to fly it after all the hard work. Whta? This is awesome. I have been ALL about DIY lately and this would be so fun to do with the kids. We have to try it! That’s a great way to recycle! And the kids can make it look how they want. I like that these trash bags have handles. My daughter and her daddy does this too! They love playing with trash bag kite! Oh I love this! What a fun, but super clever, idea! 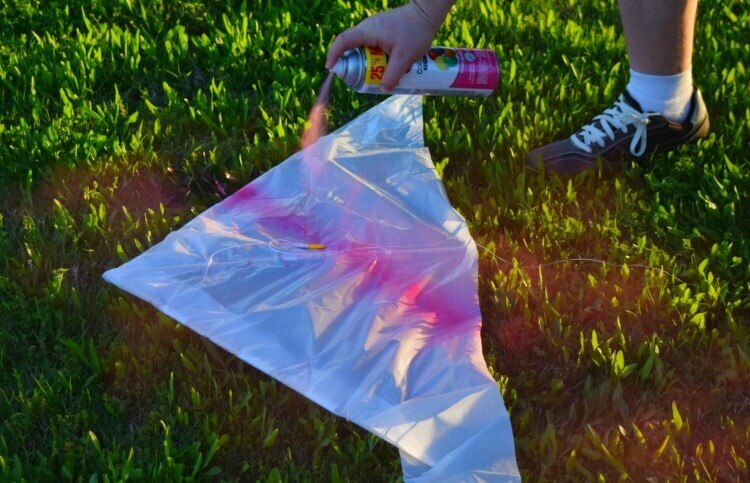 I never thought to make a kite from a trash bag! We have made them from paper before but I am so going to do this!